A short leap to bring twists in Silsila Badalte Rishton Ka.. Mauli confronts Kunal for having an affair with Nandini. She asks him where did she lose in their relationship that he moved on. She didn’t imagine that Kunal and Nandini cheated her. She gets highly depressed. She asks Kunal why did he get smitten by Nandini’s beauty. She wants to know where she lacked in fulfilling their love bond, when they were the perfect couple. She asks Kunal to answer the reason for getting Nandini between them. She asks him to tell her why did he cheat their marriage. She didn’t imagine that Nandini will prove their friendship wrong. She has helped Nandini so much and brought her home, only to lose her husband. She asks Kunal since when did he get drawn towards Nandini. She tells him that she is completely different from Nandini, the way she dresses and carries her lifestyle, she can’t be Nandini ever. She asks Kunal if he never loved her. She feels her marriage with Kunal was fake since always. She tells him that she can’t change herself for anything, she was busy in work only to fulfill his dream of running an own clinic. She feels she got blind in love and friendship. She doesn’t want to believe anyone from now on. Kunal faces the wrath of Mauli and family. Yamini learns about Kunal and Nandini’s affair, and slaps Kunal. Yamini asks him to leave the house, as he doesn’t deserve a wife like Mauli. Mauli doesn’t want to live with any guilt. Yamini has a close bond with Mauli. She supports Mauli than Kunal. She feels ashamed by Kunal’s misdeed. She scolds him for staining her upbringing. She asks him how could he cheat Mauli. She tells him that he has cheated entire family by cheating Mauli. Yamini consoles broken Mauli. Dida gets speechless because of Kunal’s misdeed. Yamini and Dida didn’t expect Mauli to face this bad by being so helpful towards Nandini. Kunal leaves the house. 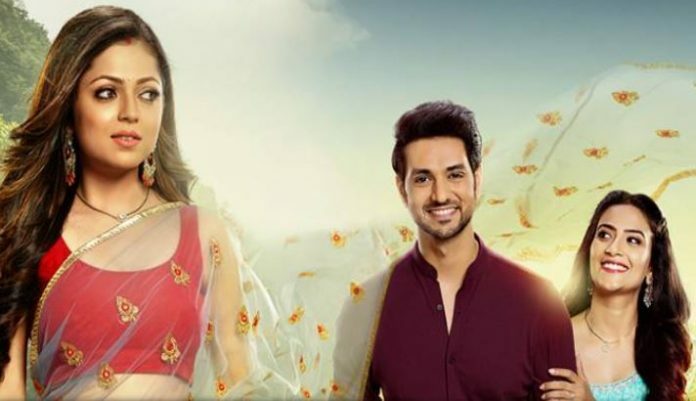 Kunal and Mauli’s marriage breaks. Nandini realizes her mistake because of Rajdeep’s insulting taunts. Kunal returns to Nandini, still being in guilt zone. Nandini gets disowned by Mauli. Mauli doesn’t want to keep any relation with Kunal and Nandini. The show will take a short leap. Mauli realizes that Kunal has broken her heart while Nandini has broken her trust, when she wasn’t at any fault. Mauli will be seen living with Kunal’s family, and moving on without any ties with Kunal and Nandini.